The whole Triphop Trip Hype explosion rattled the shadowlands and blew in a new smokescreen around '95. Just as quick as it came it blew right on through leaving only the pioneers who had arrived pre-industry labeling, which always heralds a premature death. This isn't to say there weren't some bright glows from the end of the smoking cones, much of which was captured on the Triphoprisy compilation albums. The Impossible were one of these & this is their collected recordings surfacing at last through the ancient bong-water of time. The Impossible later went on to become FLEX 13. All tracks by The Impossible except 'Ivy Twisting' by The Impossible & Hair and Skin Trading Company. 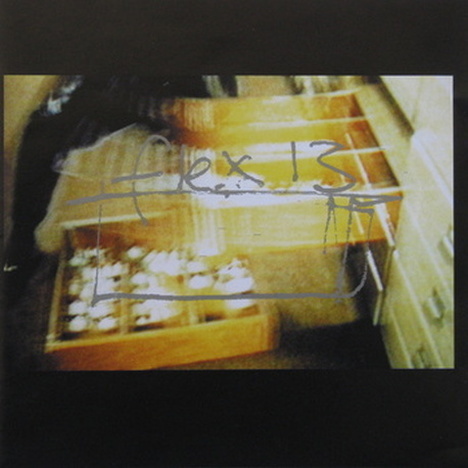 Flex) 13 uneasy listenings for the escalator down." Recorded at - The Sound Kitchen Sheffield. "We recorded this in the summer of 98 & 99. The last album (Paint My Legs) was much colder. This one needed to be more fun, more fried. Sometimes everything just looks too safe. If you're not trying to step over the line then what's the point? The whole world look's like it's on drugs of some description; all we're doing is making connections." All songs by Hope/Collins except 'Leader Of the Pack & Back of your Mind by Hope/Collins/Wills Engineered by Charlie Collins @ the Sound Kitchen, Sheffield. The 3rd installment of the FLEX 13 story finds Hope & Collins refining their technique yet further. As always determining exactly what is sampled & what is played is a virtually impossible task. 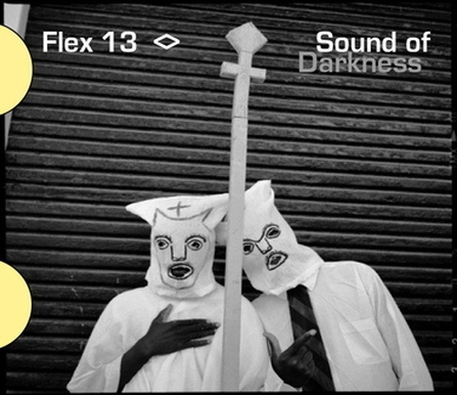 Sound of Darkness is their most open & melodic work to date as sonic layers give way to sparse rhythmic passages and free-form keyboard highlights. There's a cinematic undercurrent referenced in found dialogue as the audio equivalent of tectonic plates slide across each other to reveal new plots and narratives. Recorded by Charlie Collins at The Sound Kitchen, Sheffield in 2000 (except the final track which was recorded & written by John Wills at the Pumajaw studio, Perthshire). Sound of Darkness is a moment of comparative calm before the oncoming storm! The wind gone out from the sails & other projects begging attention Twenty13 got filed away on mini-disc for 13 years.... which is kind of fitting! 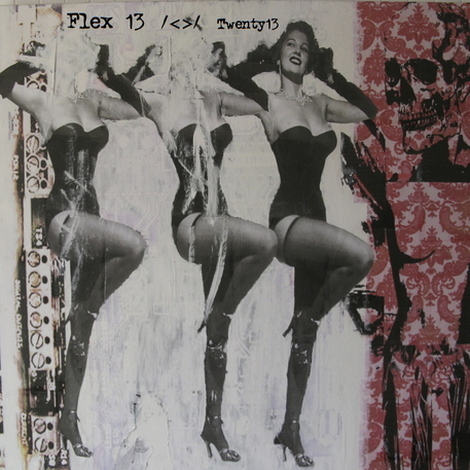 As ever the definition of reality, in terms of instrumentation, is fuzzed out; at times it sounds like Flex 13 have become a real band, at others strange found-sound rhythmic loops become the bones for hybrid muscle & fur. Defying genre or date Twenty13 is a timeless original & great culmination of the band's inventive & singular vision.